Please pay attention that Mari-Jari Sauna & Spa will be closed from 13th till 19th of April ! This Saturday 14th February the world is celebrating Valentine`s Day. 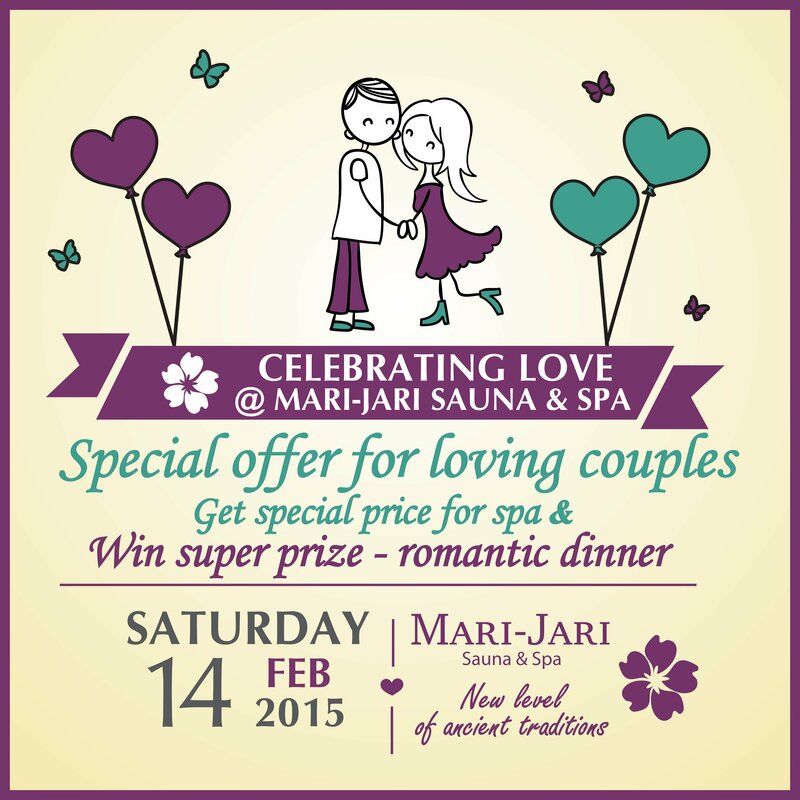 On that day Mari-Jari Sauna & Spa will give you our love, as well as the opportunity to spend a wonderful day together with your partner! Only on 14th February we give 20% discount on spa services to all loving couples and also a chance to win a romantic dinner for two persons in our lounge restaurant. We sincerely wish you to spend that day far away from city noise and bustle together with your loved one! Also you can make your soul mate happy by giving a gift card or certificate for one of our luxurious spa packs from our wellness center.